Many people must wonder why the court cases of Zone9 bloggers and journalists is kept on adjourned and re-adjourned time and again and what will their fates is going to look like after such a pointlessly stretched out trial. 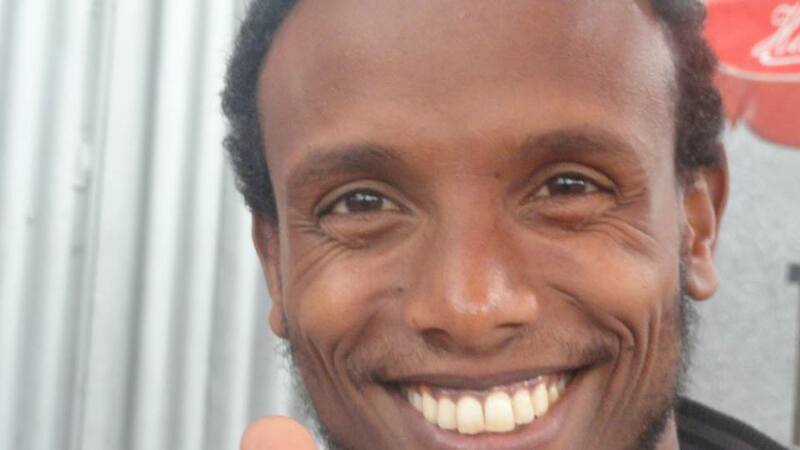 Although these trials are undoubtedly show trials, looking back on sample court cases of Ethiopia’s journalists of the last 9 years offer clues into the bloggers’ future. The data which was collected from the registrar of Ethiopia’s Federal High Court show that the majority of the journalists charged with crimes of any sort are actually found to be guilty. The reports on many facets of appalling state of Ethiopia’s freedom of expression seem incomplete and anecdotal, but data-rich reports can help deepen perspective. Hence; this data show there is no doubt that Ethiopian journalists who faced these show trials are going to be found guilty and the data further shows that trials are all extended. For instance Temesegen Desalegn whose criminal defamation & outrage against constitutional order charges are going well over two years and it is still counting. Eskiner Nega’s court case took more than two years of trial which ended up in sentencing him 18 years of prison terms. Beyond its wider implication of making the business of lawyering helpless, it gives an impression that Article 29 of Ethiopia’s Constitution which deals with Freedom of Expression has no use. As I write this blog post five weekly publications which cannot average a joint circulation of 20K per week are all charged with terrorism. It is confirmed that at least three of them will stop publication as their journalists went to exile. Since the controversial 2005 Ethiopian election the Ethiopian government has already prosecuted more than 200 hundred people pertinent with freedom of expression with numerous criminal charges and shut dawn hundreds of weekly magazines and newspapers and sends most of the journalists of theses media organizations went into exile (more on this later). It has deposed several state media journalists in relation with their work and the campaign shows no sign of relenting. Based on my own experience and the sample data provided it is obvious that if Ethiopian journalists are charged with a crime of any sort (defamation, terrorism and treason) there is 95 % or more chance that they are probably guilty. It can only be said that Ethiopia is in a cycle of history where freedom of expression is only right when you praise the ruling regime or else you will be labeled terrorist. In the minds of Ethiopia’s rulers’ truth has no meaning and they don’t have barrier to shame. In fact in his latest blog post from prison Befeqadu put it poignantly that EPRDF, the ruling regime, do not have sense of decency that prevent them to hand dawn judgment on innocent people. Kind request for crowd sourcing court data: People who have access to court data regarding freedom of expression please contact us. The above table needs to be completed. Prosecutors need to have a good understanding of the meaning and use of language of the crime they try to describe in the charge sheet. I believe linguistic precision is of a paramount importance for people whose career putting down blame on people even though they have evidence to support their allegation. This is basic for people who claimed to have a legal obligation and a moral ground for keeping the country out of trouble as Hailemariam Desalegn repeatedly said to his interviewers. But do they have what they claim? Let’s see how an incompetent government writes a criminal charge sheet and hand dawn judgment on innocent people. Much has been said, about the bogus nature of the terrorism charges. I believe people who follow this case know the charge sheet do not even have the least amount of truth in it but the way it is written and its presentation tells its spurious nature much better than a good blog post. So I decided to translate the 19 pages charge sheet as it is written in Amharic. Anyone who has read the Amharic charge sheet must be aware that the poorly written charge sheet of the bloggers presents an illustration of how dreadful Ethiopia’s Justice System is. There are various instances of conflicting accounts of the crimes on the made-up charges, citation mishmash, absence of dates and mixing up European and Ethiopian calendar and instance of getting a name wrong. For example, the name of Edom & Tesfalem, two of the accused is not mentioned even not for a single time but they were made to sign 23 pages of confession papers between them. Read the entire charge sheet in English below.